Mother’s Day. Father’s Day. Graduations. Spring is here, and so are lots of meaningful dates! Are you ready to shop for all the gifts you need to get for these important events? It can be overwhelming to try to shop for everyone, but if you plan in advance, it will be a lot less stressful. Plus, save yourself some time and use this list to find some of the best gifts for each occasion. •	Clean house. 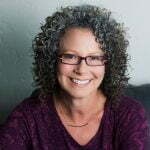 Get her a gift certificate for a home cleaning service. She spent years picking up your dirty socks, so it’s the least you can do. •	Rest & relaxation. A trip to a day spa or fancy hotel pool tells Mom that you’re grateful for all her hard work over the years, and she should kick back and enjoy herself! No ties, golf balls or tools. Aim a little higher and get Dad a gift he’ll really treasure. •	Action. Say Dad likes to be active … Challenge him to a paintball game or register together for an obstacle course race. •	Suds. If your dad is always on the lookout for the next great microbrew, maybe he should try his hand at brewing his own. •	Youth. Assemble a scrapbook of his life. Ask family members to contribute photos and other (flat) memorabilia such as ticket stubs, correspondence and newspaper clippings. Here’s where you can stick with tradition, because these gifts are truly useful. •	Bonds. Help the graduate save for the future while you invest in your country. What could be more inspiring? •	Technology. As more and more employers expect employees to supply their own phones, send the grad into the workforce with a snazzy new model. •	Cash. Because rent doesn’t pay itself, and no one can live on Ramen noodles forever. And here’s one final tip: if you’re strapped for time and can’t decide which gifts to get for the special people in your life, you can always ask someone else to do it for you! A Virtual Assistant can handle any shopping challenge you throw at her, from the pickiest recipient to the guy/gal who already has everything. 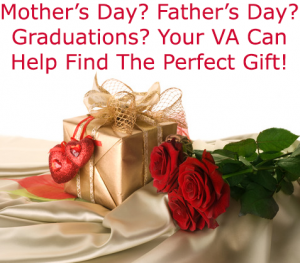 Your VA will select a gift that is thoughtful, appropriate, and makes the recipient feel honored and special. Contact me today and I’ll conquer that shopping list for you!